Villa Deja is a brand new, private residential villa which offers modern, comfortable luxury and private pool with sun terrace. 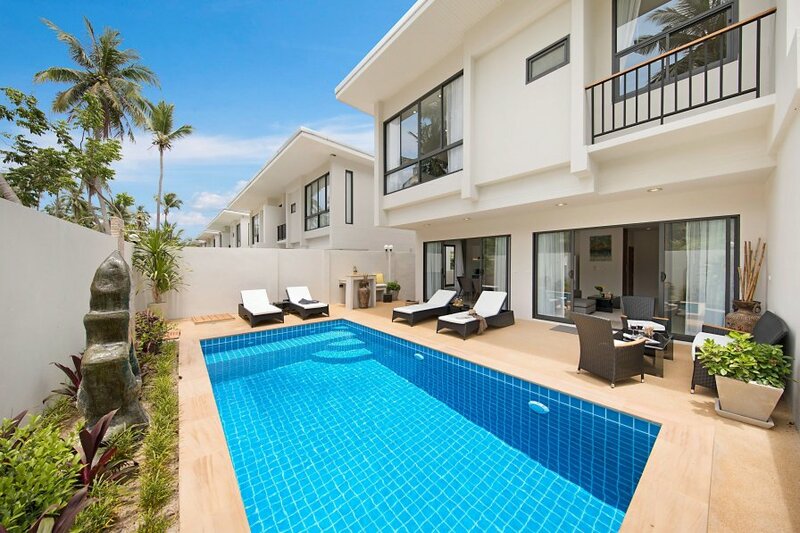 Villa Deja is situated in a tropical and lush coconut plantation, part of a private and tranquil residential development in the Plai Laem area of Koh Samui. Just a 5 minute drive to the gorgeous Choeng Mon beach and a 7 minute drive from Koh Samui’s international airport. The villa is set over two levels and offers modern, comfortable luxury - perfect for solitude for peace and quiet but still accessibe to popular attractions on Koh Samui. With landscaped outdoor areas and a superb private pool it's the perfect place to spend your holidays in paradise. It can accommodate families who want to stay together or couples looking for absolute privacy and romance. We furnished Villa Deja to a very high standard and made sure that everything that matters is included. This brand-new, luxurious and spacious villa means you can completely relax in comfort.